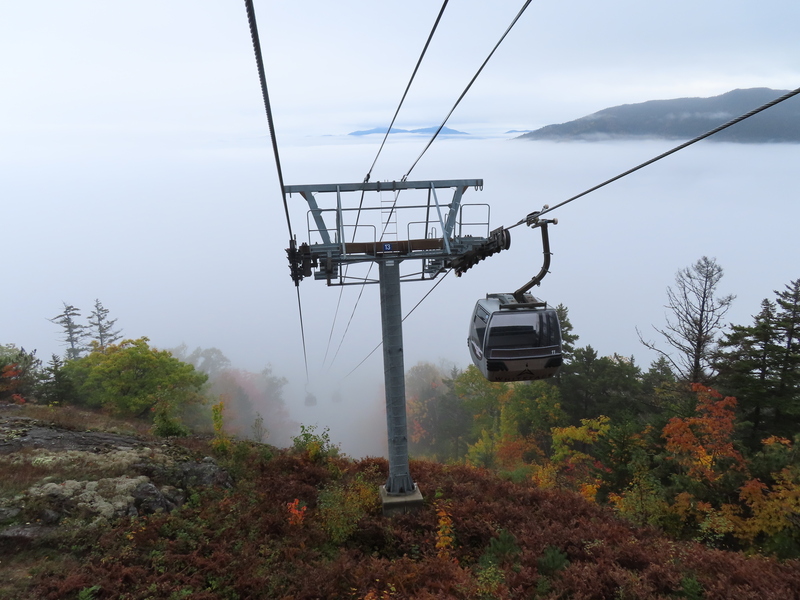 The Cloudsplitter Gondola opened in 1999, providing the first-ever one seat ride to Little Whiteface Mountain. 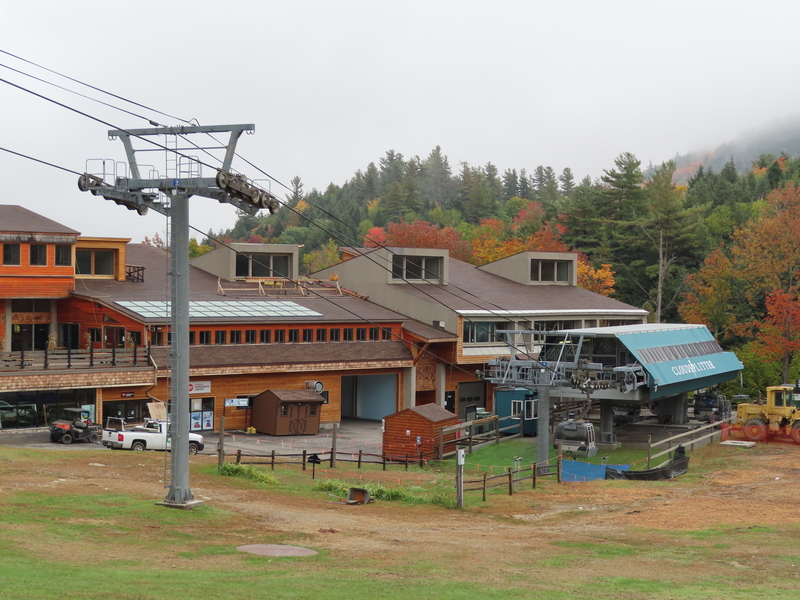 The bottom terminal and first two towers near the base lodge. View down at tower 7. Side view of the bottom station. Another view of the big lower station. Riding over the Bear double. Depression assemblies on tower 8. 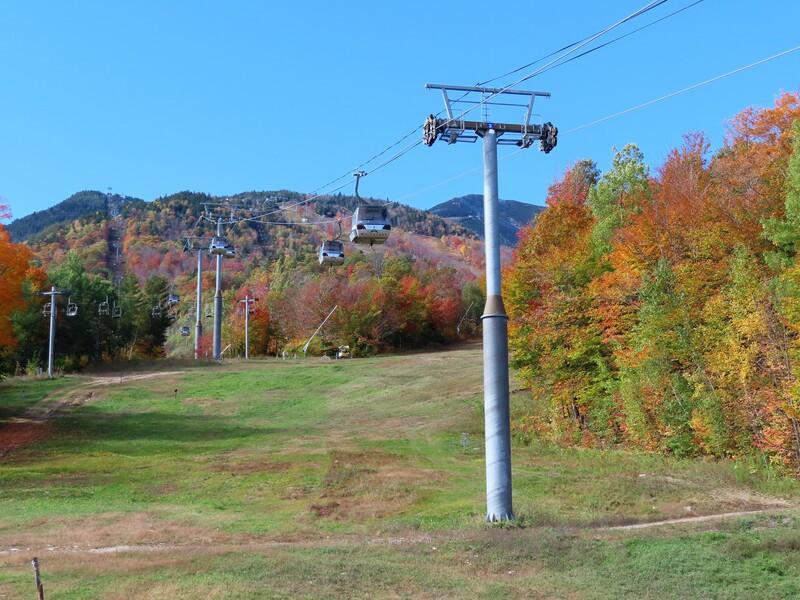 There is a short downhill section around the mid point of a ride. Reinforced lifting frame on T15. 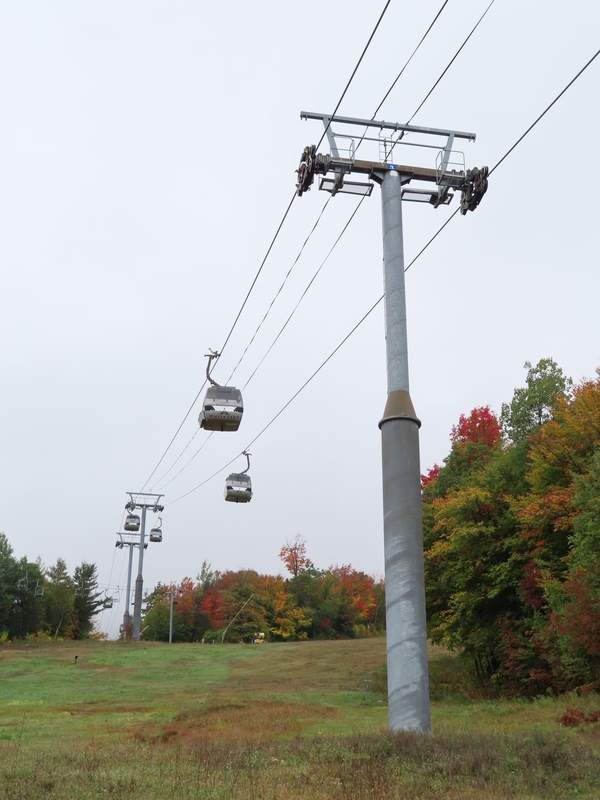 The tallest towers of the whole lift – 4 and 5. 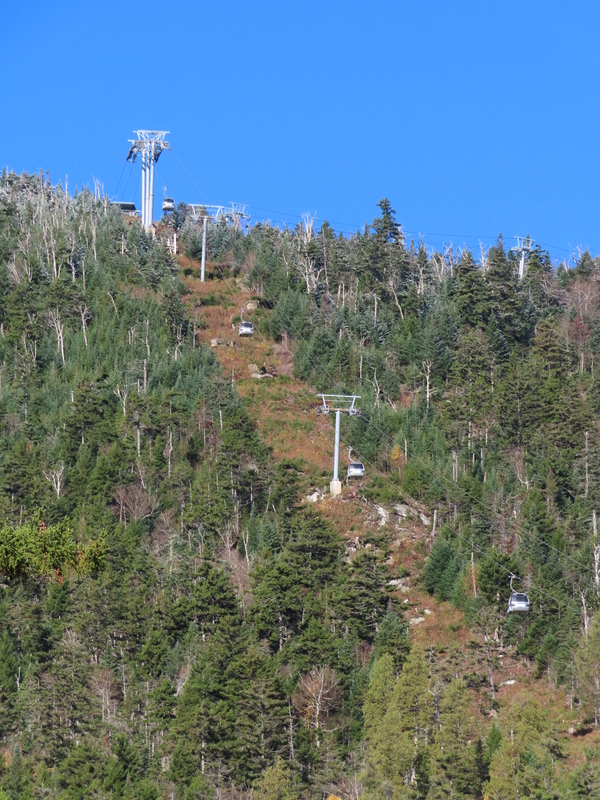 Most of the lift seen from the Whiteface access road. View up at tower 8. 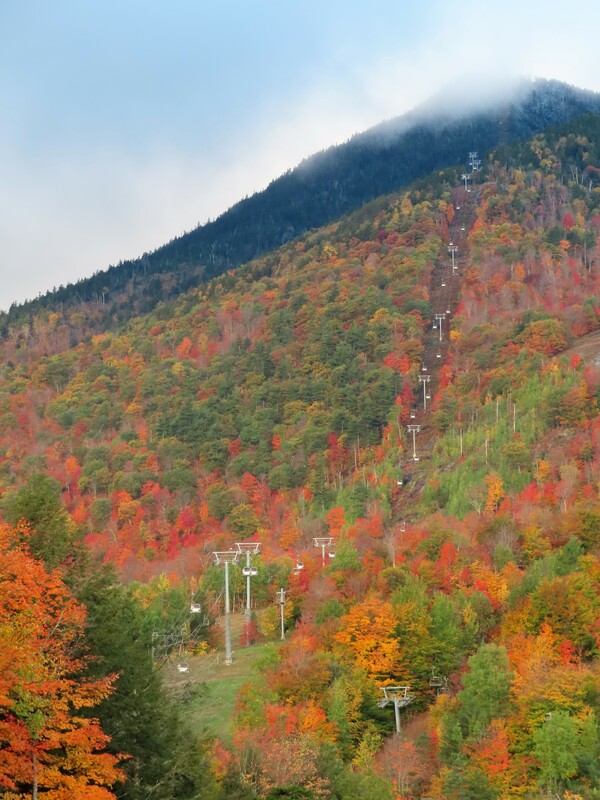 A cabin ascends the first steep rise. The last section before the summit is even steeper. 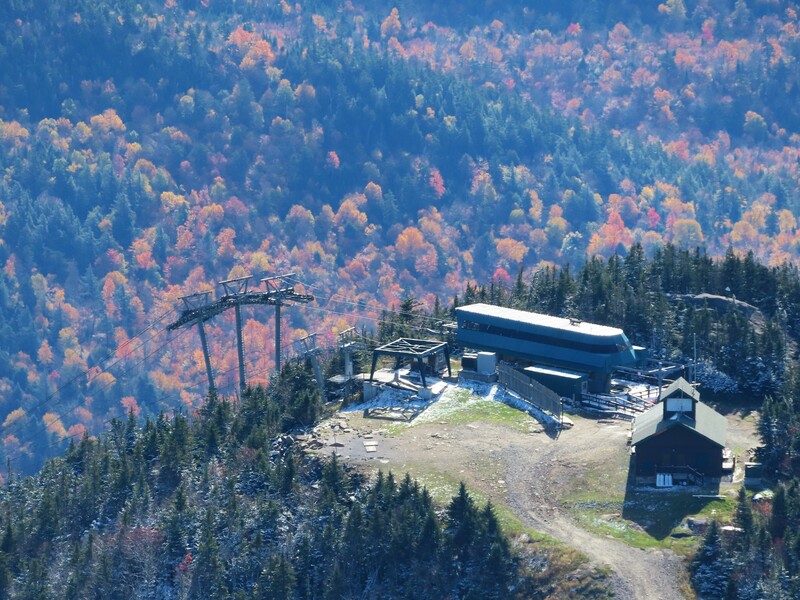 Tower 19 with a view of the summit. Big depress assemblies on 15 and 16. The best breakover in the East! Small maintenance rail up top. Another view of towers 23-25. This is the drive location. 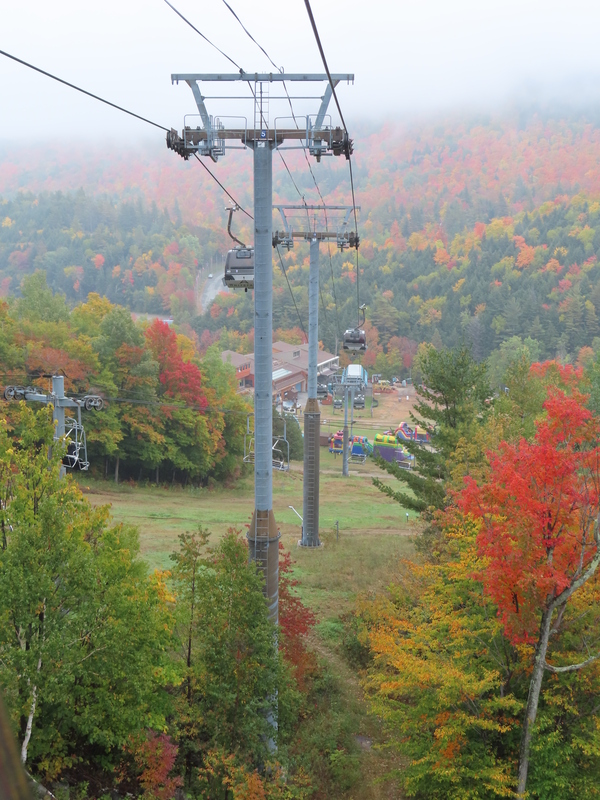 Looking down towards the base. The turnaround with pin rails. 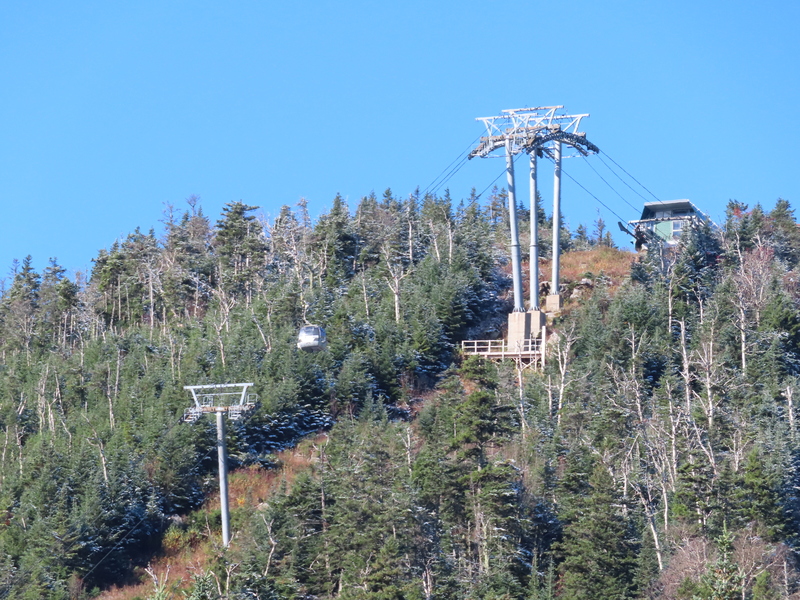 A big shack for a big lift. Another angle on the drive. 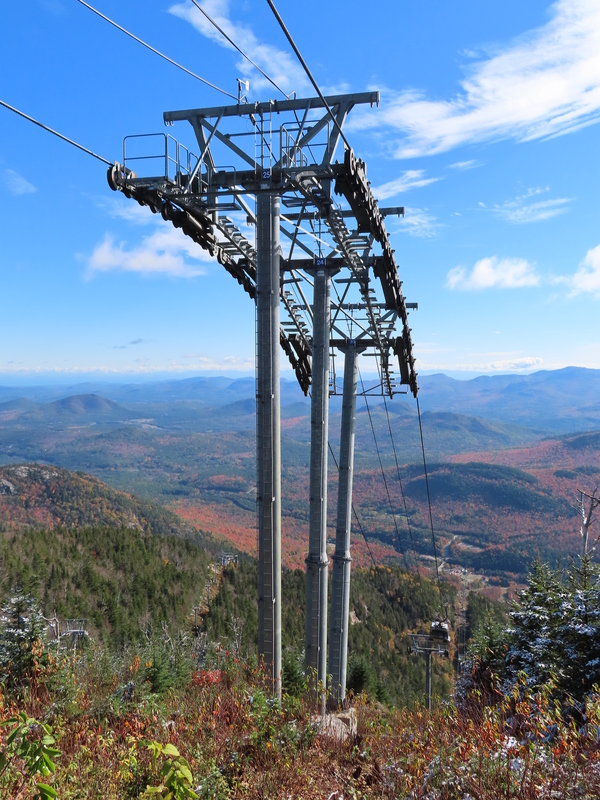 The top of the gondola seen from the actual Whiteface summit. Gangloff cabin with a DT-108 grip. The Bear crossover from the side. 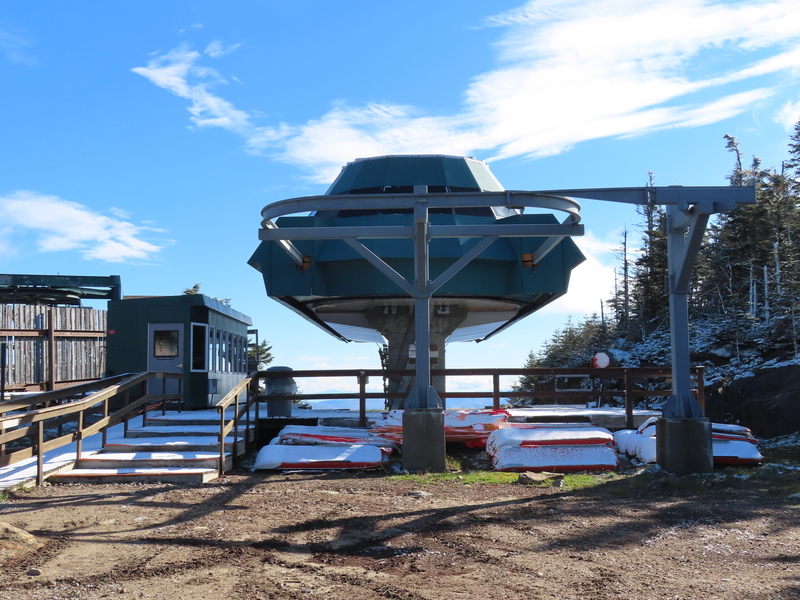 Cabins seat 8 with exterior ski racks. Combo assemblies on tower 3. Loading area at the base. Tunnel into the parking facility. Any American lift that gets two pages in the book is a major machine. 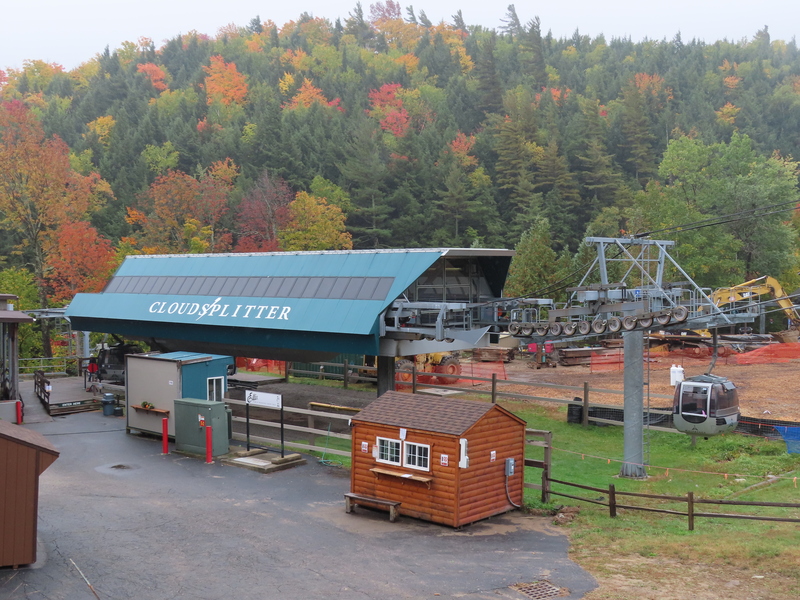 While still an cool lift, there are several operational issues with Cloudsplitter. 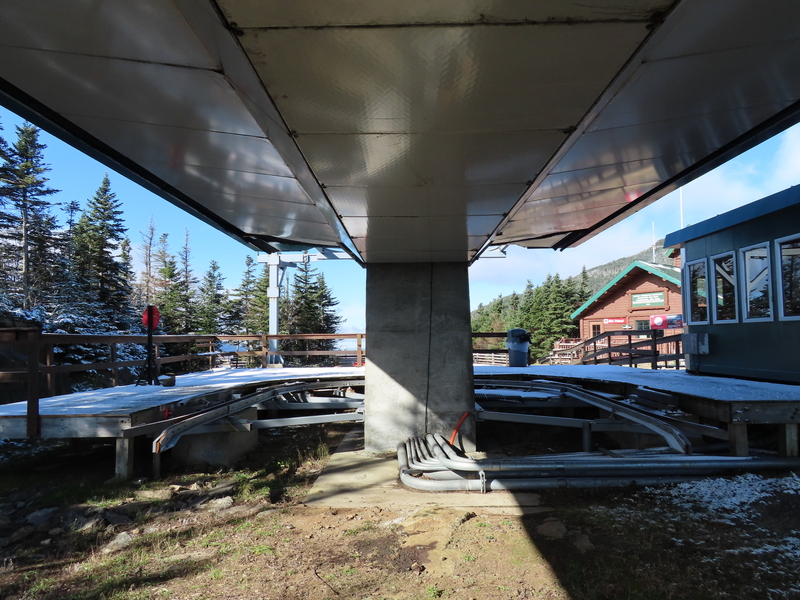 It is plagued by wind closures, being down at least once every 2 weeks. The bear crossing, top of the first climb, and the breakover are the problem spots. They are also not allowed to install wind fences as part of APA regulations. 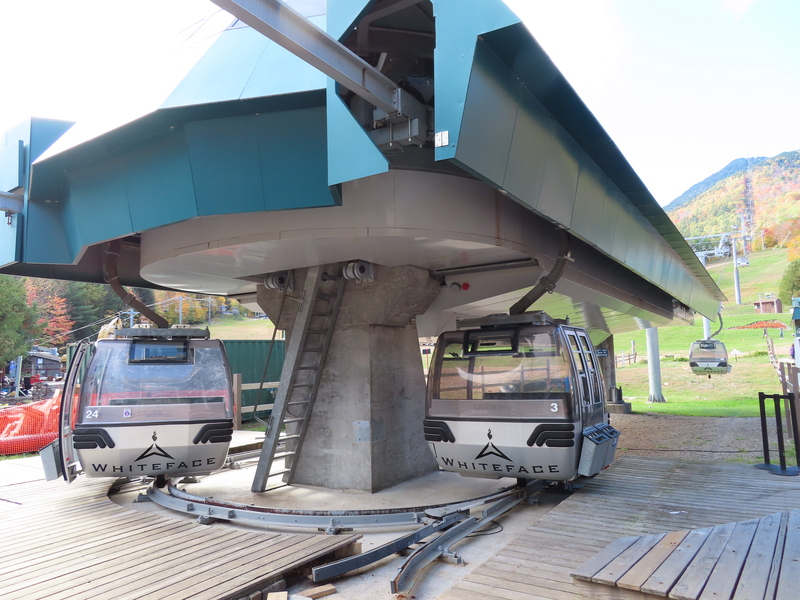 The other issue is that it is not run anywhere near full speed and they only allow 6 people to load each cabin, so the capacity is around 1000/hr for what is functioning as the the main out of base lift and workhorse lift that everyone laps. That results in long wait times almost every weekend. 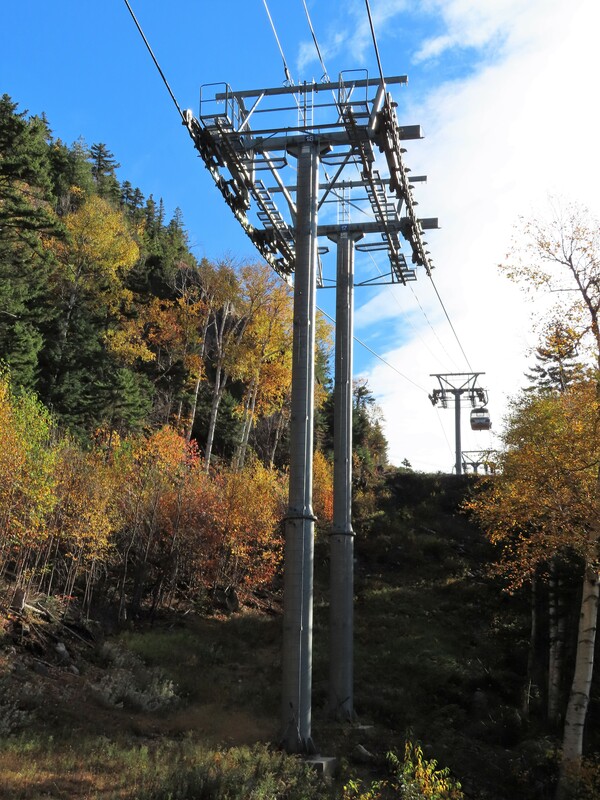 The 2018 Unit Management Plan does provide a solution by installing a high speed quad to replace the Freeway Lift on a different alignment that will start at the base and end on the approach trail, providing a much needed alternative and relief to the gondola. 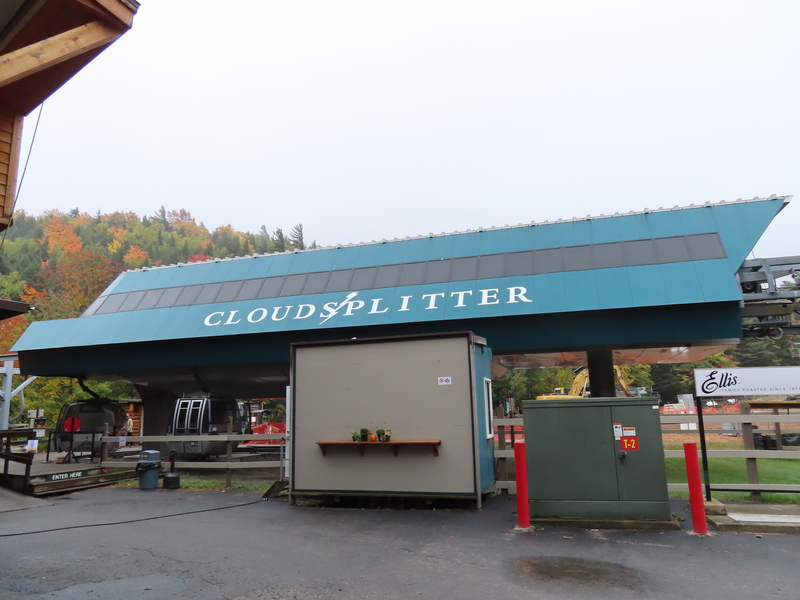 The Cloudsplitter cabins are neither Xs nor Omegas but rather Gangloff Spacecabs. Gangloff is now a wholly owned subsidiary of BMF. 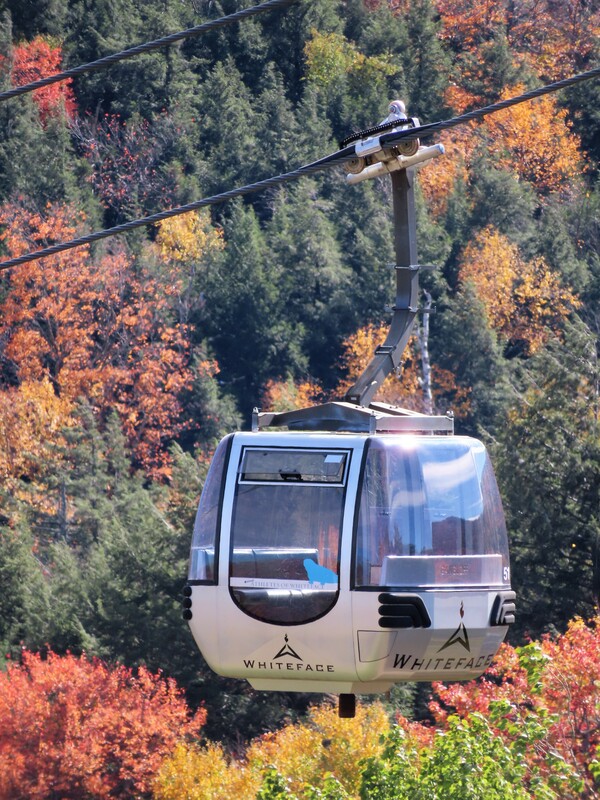 I think it’s a shame the cabin manufacturers are no longer separate from the lift manufacturers. 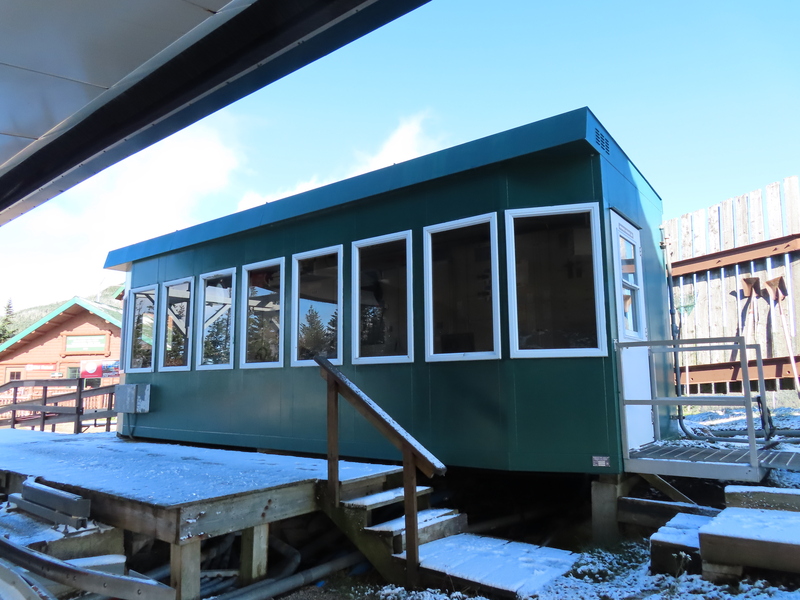 We probably won’t see any more Gangloff cabins in the US because of it. Is there an update on when that project will be done? 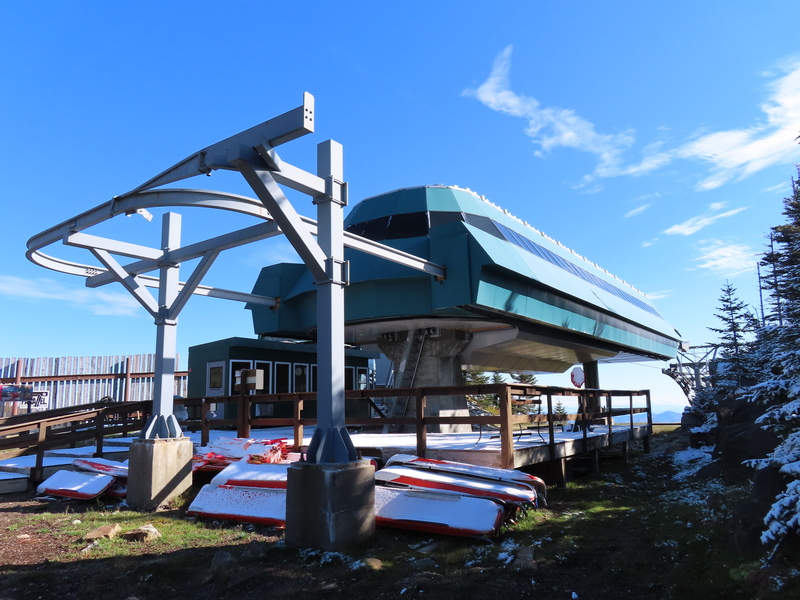 There are 3 lift projects ORDA wants to complete there in the near future. 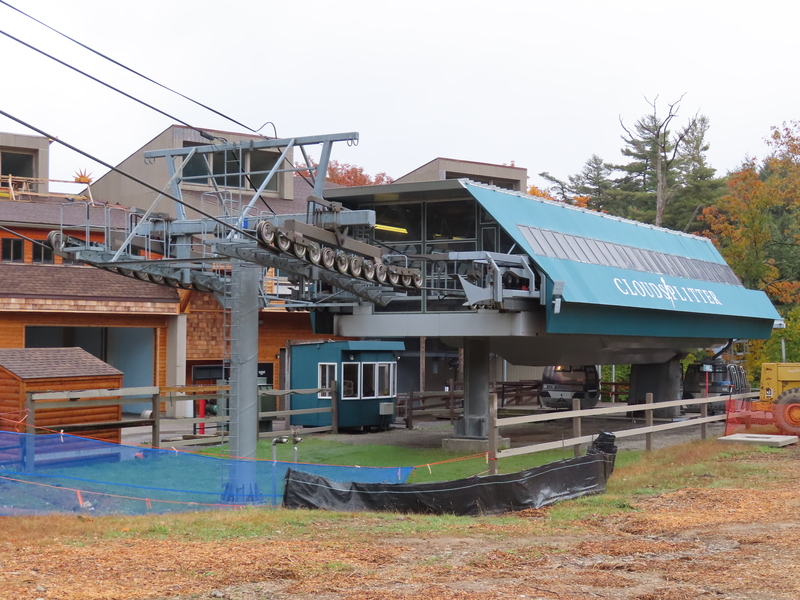 One is being done in 2019 which is the Bear Den Quad to replace the Bunny Hutch Triple. 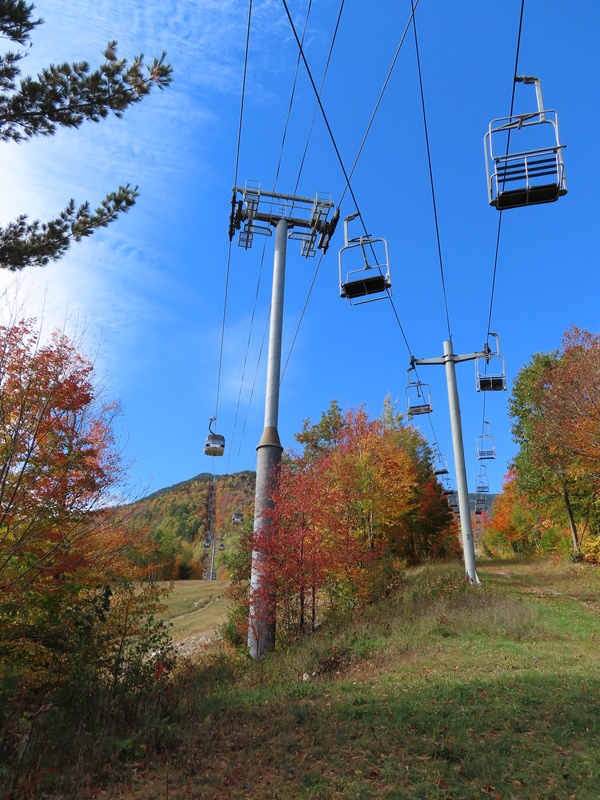 The next priority will be to replace the Bear Double with a quad on an extended alignment to the top of Draper’s Drop. 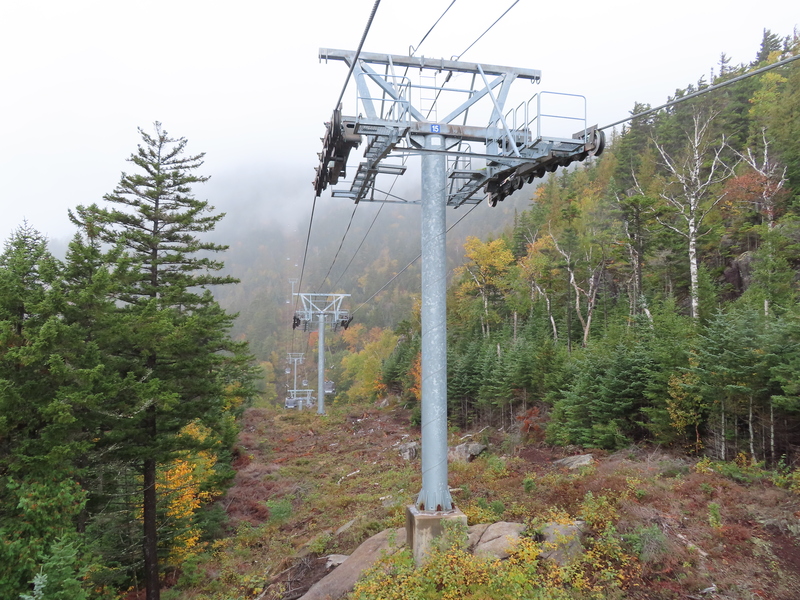 After that is a high speed quad from pretty much right next to the gondola to the top of the Empire trail. 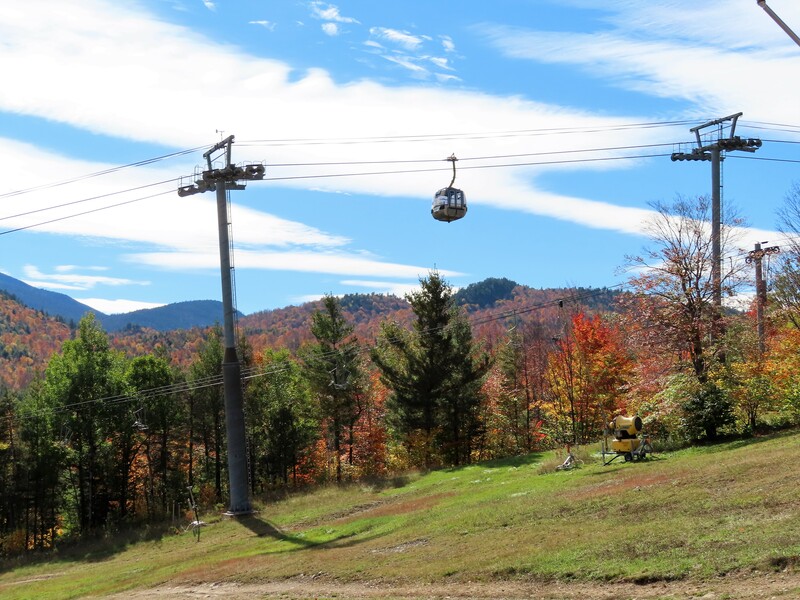 Included would be two more trails off of it that they are going to try to make intermediate but will really be advanced trails. 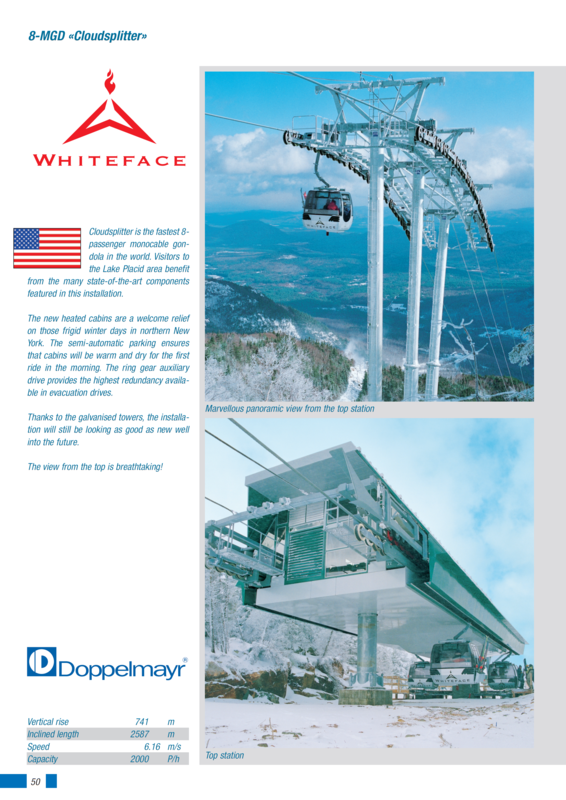 There are several Doppelmayr gondolas that were built around this time. 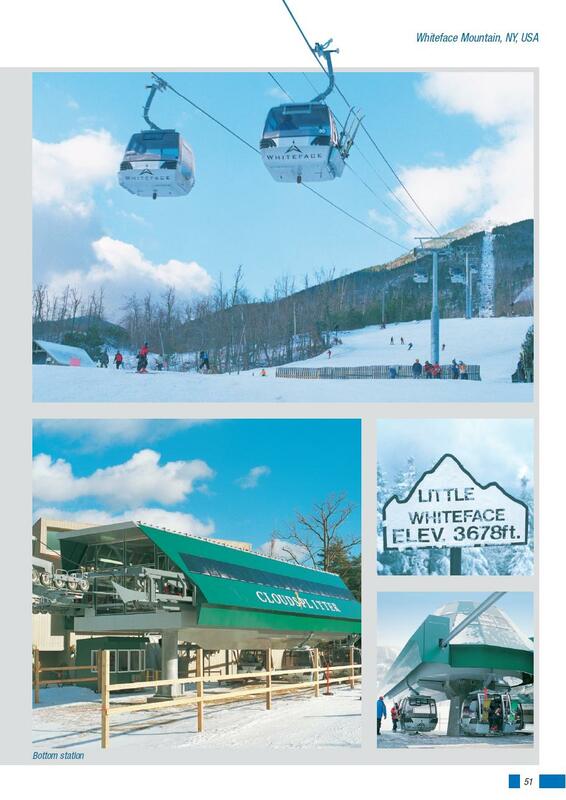 In 1998 it was Needle’s and Strawberry at Snowbasin, Upper Panorama at Mammoth, and Telecabine Express at Tremblant. In 1999 it was Cloudsplitter at Whiteface and Lower Panorama at Mammoth. 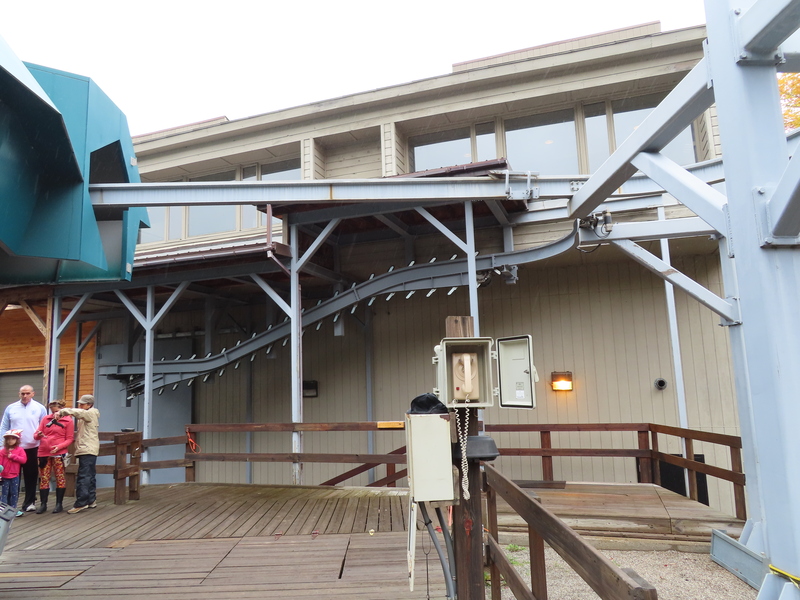 In 2000 it was the gondola at Heavenly. 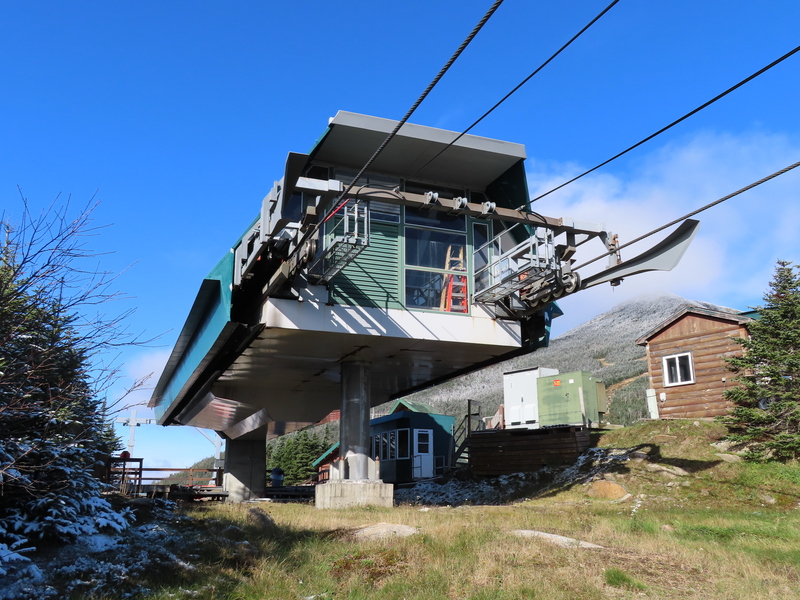 Mammoth and Heavenly have Omega cabins, Snowbasin has X cabins, and Tremblant and Whiteface have Gangloff cabins. 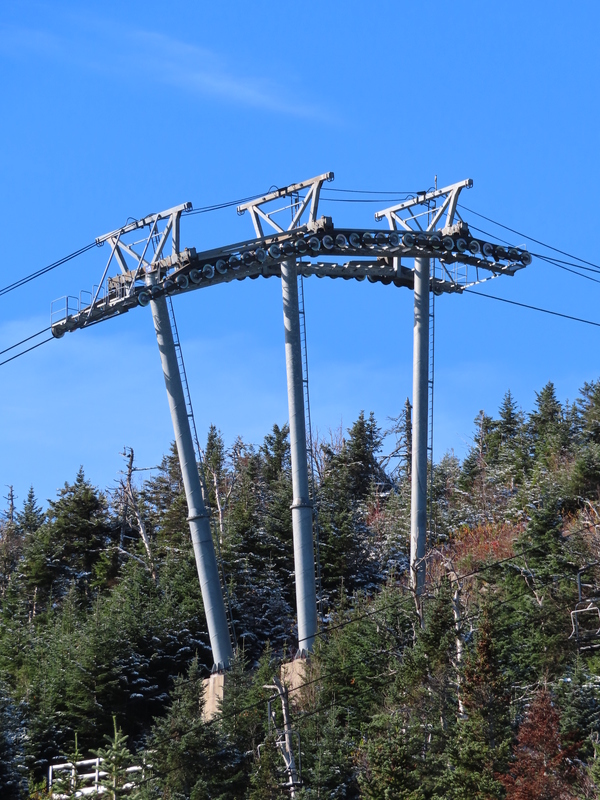 They are all long lifts with a high vertical rise, have good looking breakovers, and design speeds of 1200 feet per minute (give or take). 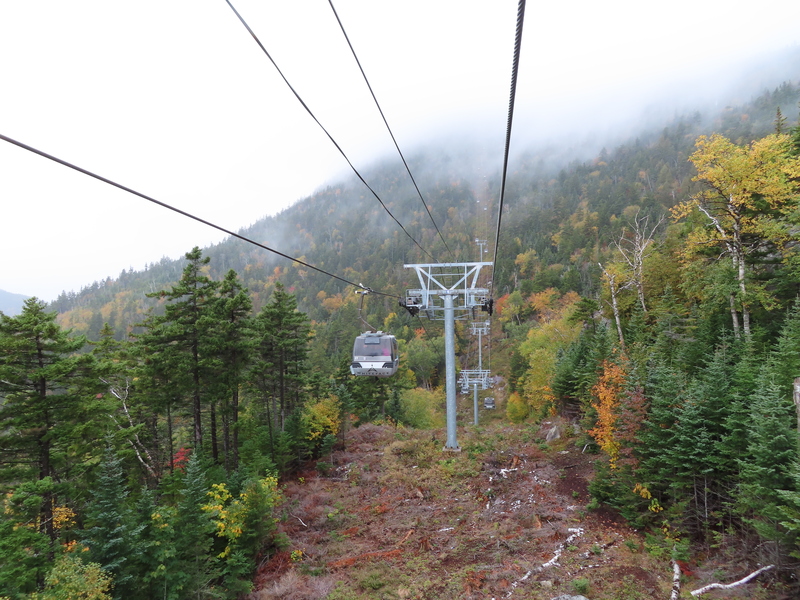 A doesn’t look like many runs of the top of the gondola! 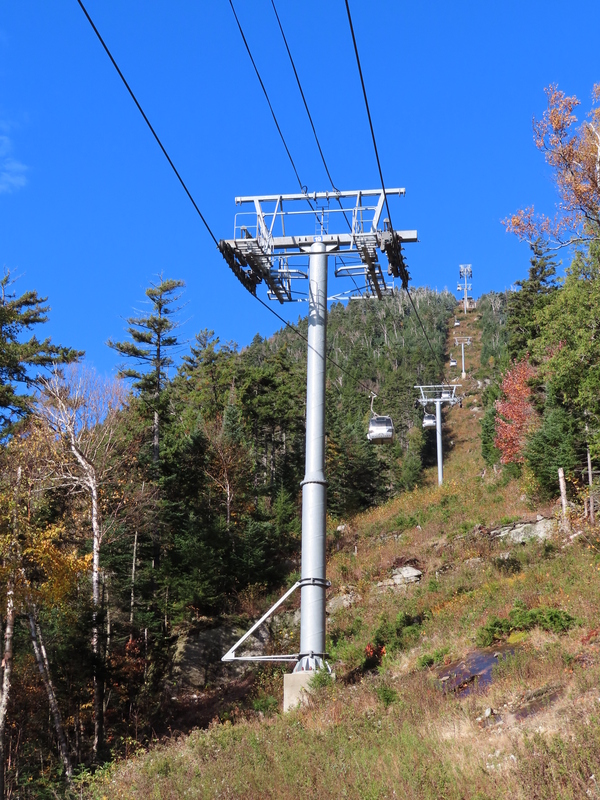 There are 3 ways off the top, but they split into many more trails as you go further down. 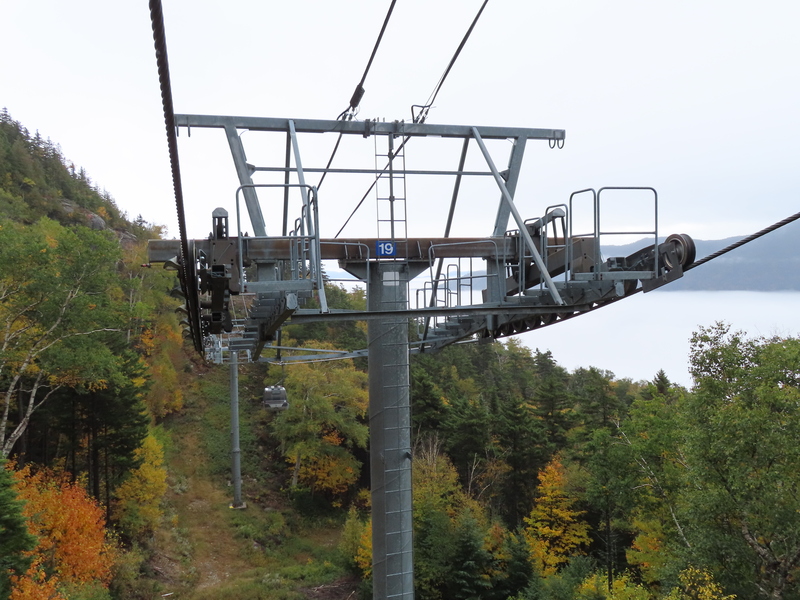 Has this lift ever run at 6 m/s (or 1200 fpm) for the public before? Or at all, in recent years? Never in recent years. Today it’s running at 1000 feet per minute which is the fastest I’ve seen it all year. Normally doesn’t even reach 900 and is frequently 700-800 when windy. 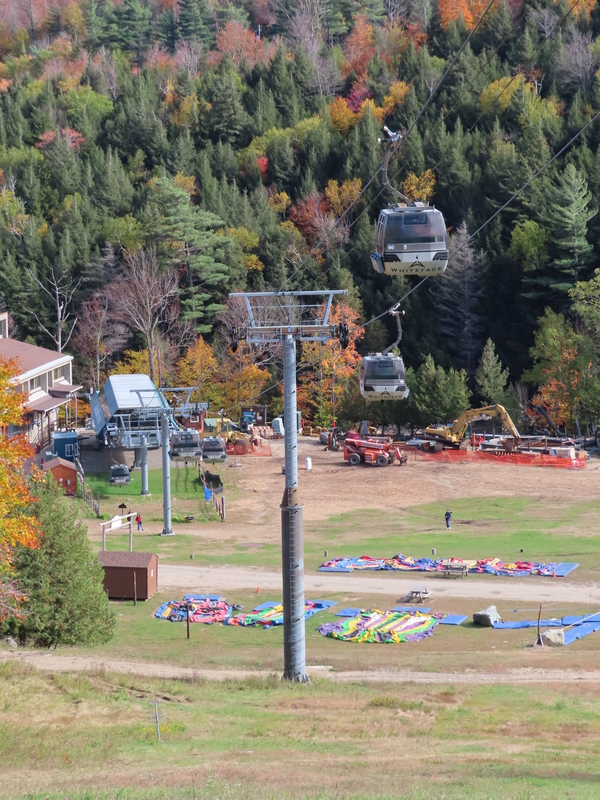 I think they should run it at the design speed of 1212 feet per minute because it’s a flagship lift and usually has big lines (15+ minutes) on weekends. 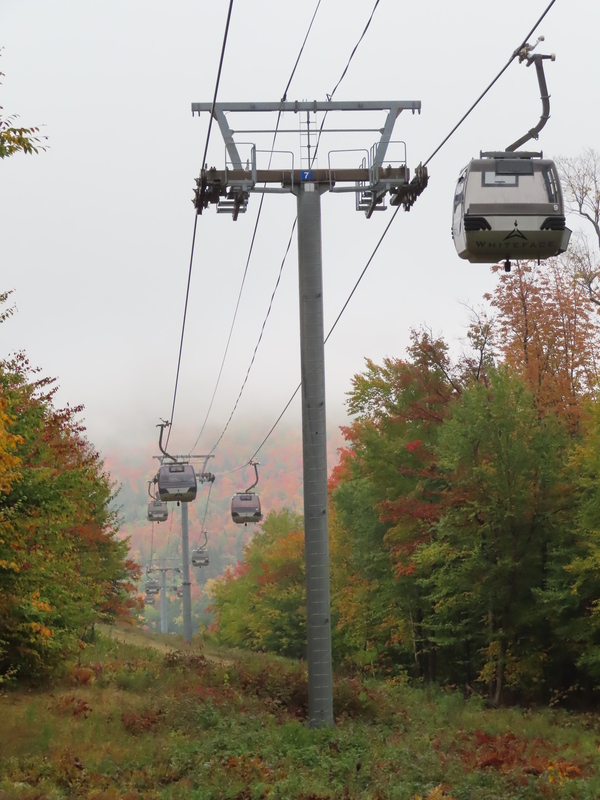 Tremblant’s very similar gondola is much faster on average. 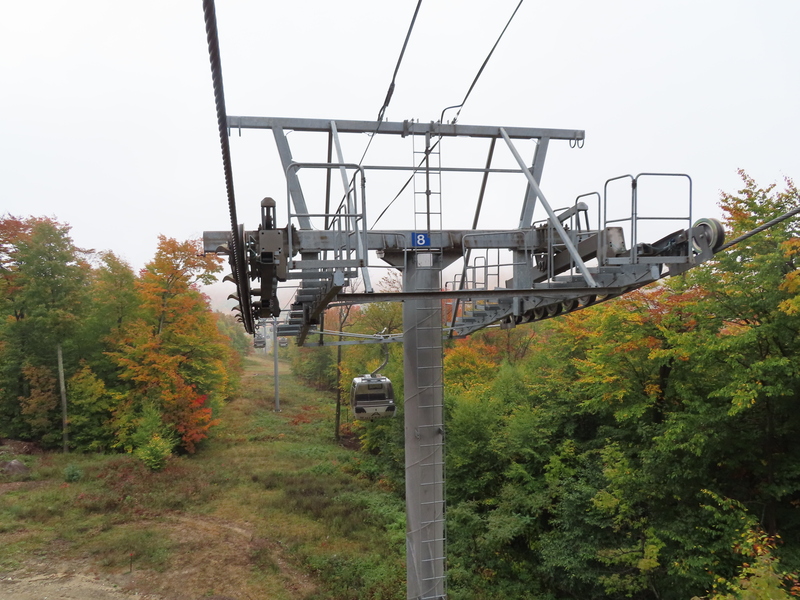 We run the Telecabine between 5 to 5.5 m/s (or 1000-1100 fpm) and it still get 15+ minute lines on weekends! 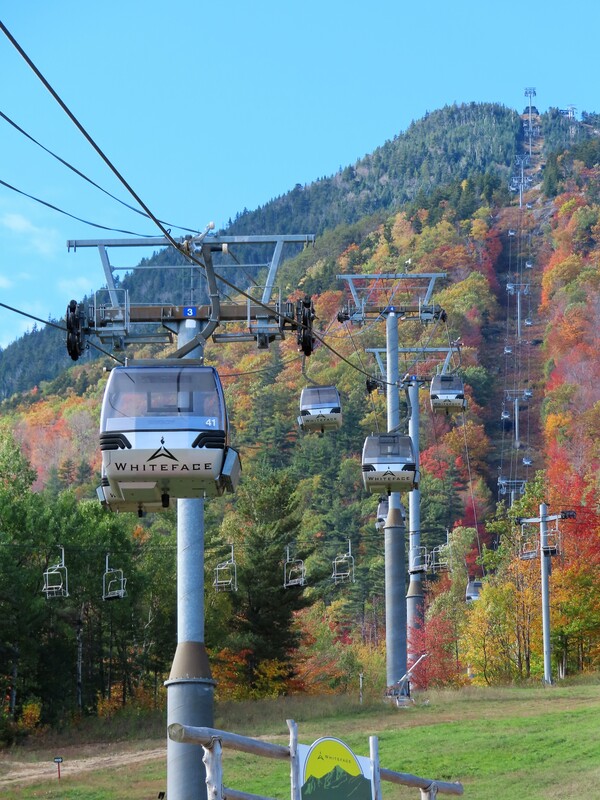 It’s a shame this gondola doesn’t go at its design speed, since that’d make it quite the tremendous machine with its length and vertical. 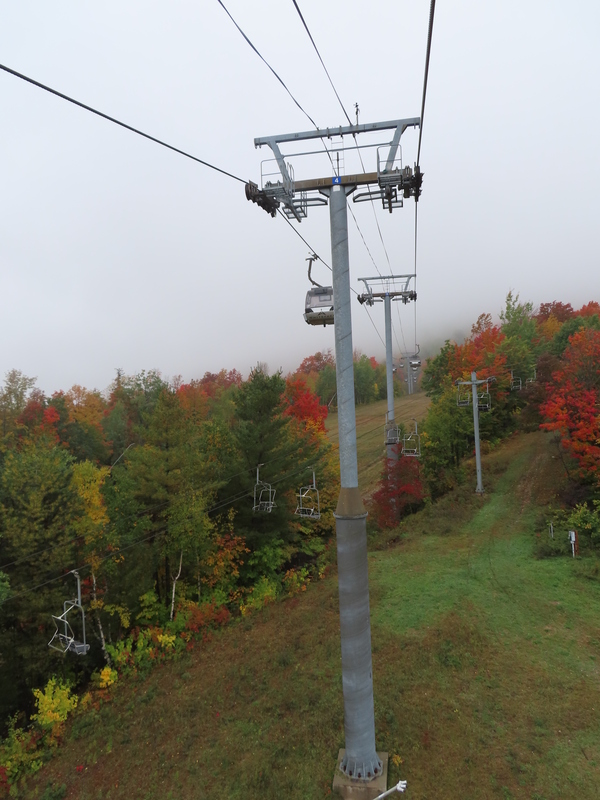 I’m never sure whether to love or hate this lift. 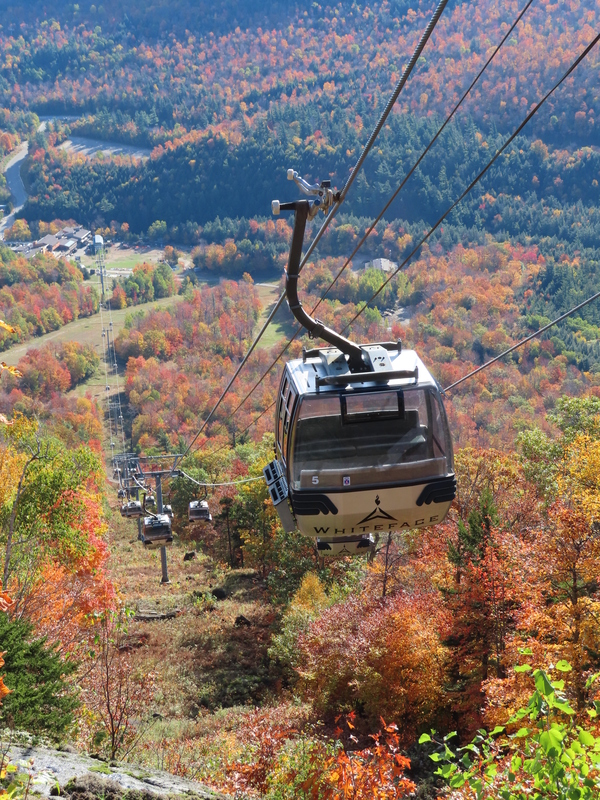 It has one of the most interesting routes and most scenic rides anywhere, is supremely capable in terms of speed, length and vertical, and provides a break from the elements at possibly the coldest and windiest mountain in the northeast. 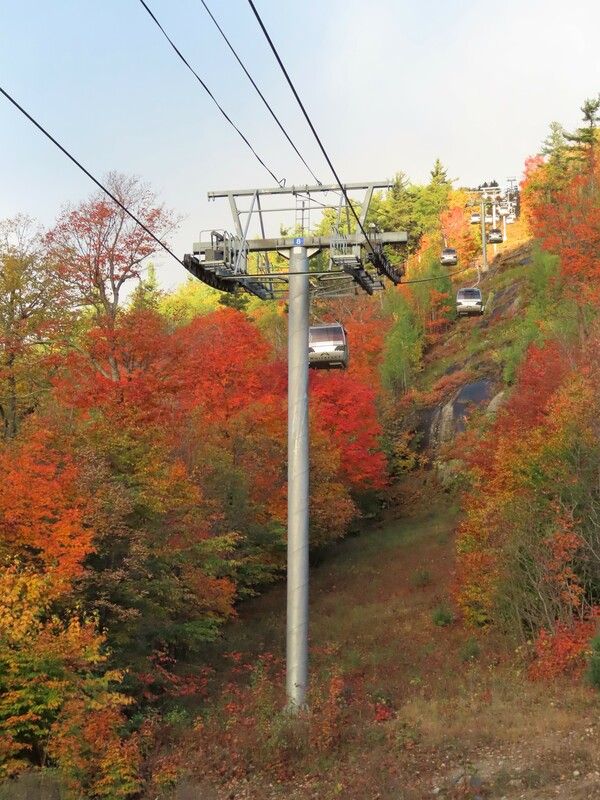 But I always find myself annoyed with the long wait times, lack of alternate routes (Freeway, Little Whiteface, and Mountain Run are often closed), and the fact that the actual speed and capacity are nowhere near the design specs. I wonder when ORDA decided the cabin heaters weren’t worth it anymore or if they were ever used in the first place. I also wonder the same for Tremblant as it also says the cabins were heated in the World Book. 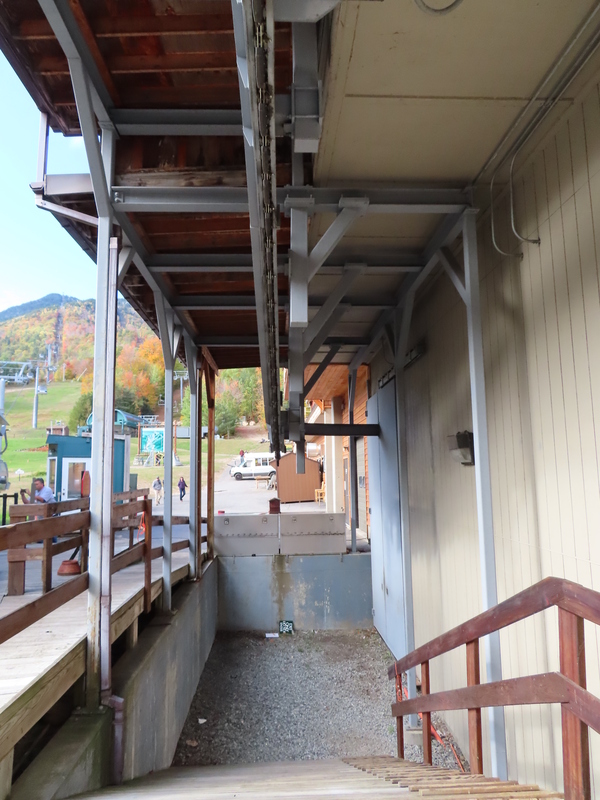 The heaters haven’t been used at Tremblant in a very long time, if ever, and I’m not even sure how to turn them on! 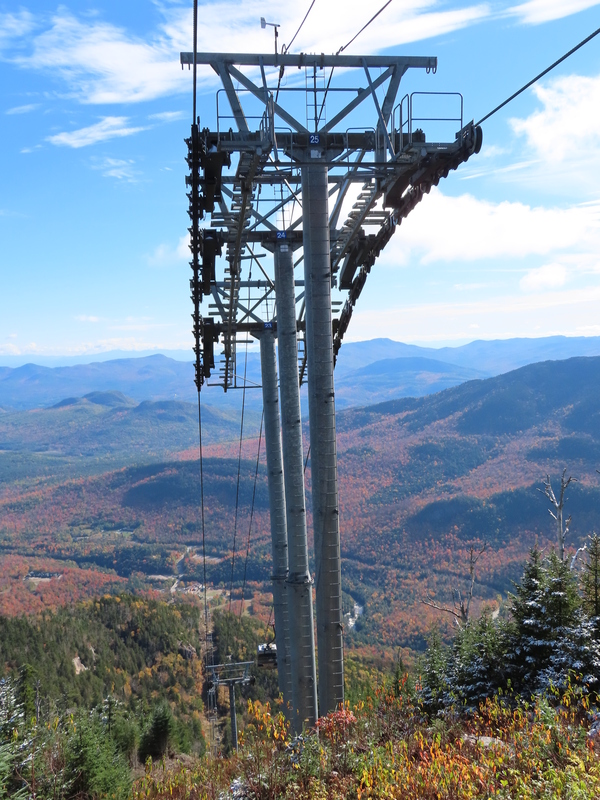 I’ve been to Whiteface once and was amazed by this machine – you said it: legnth, vertical, and route. 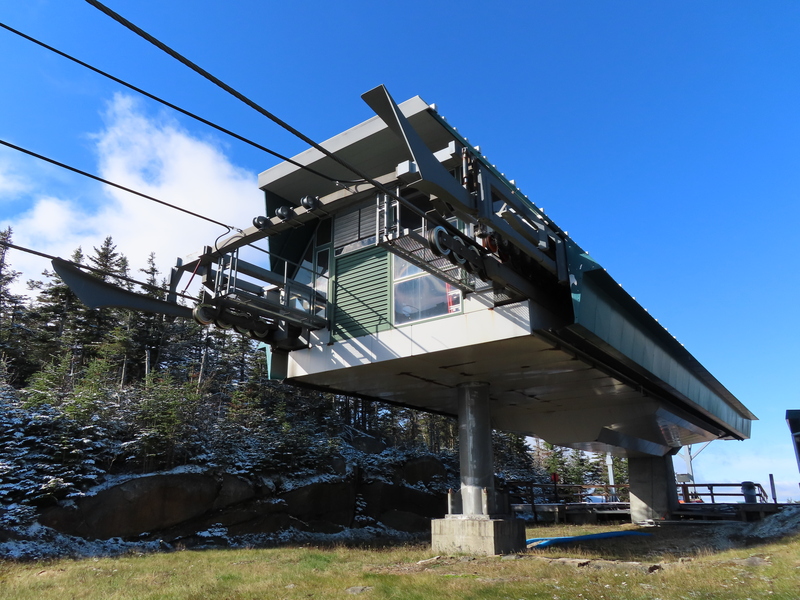 I was a little disappointed it didn’t run faster, considering it’s the sister ship to the gondola at Tremblant, but otherwise it’s a marvellous lift! 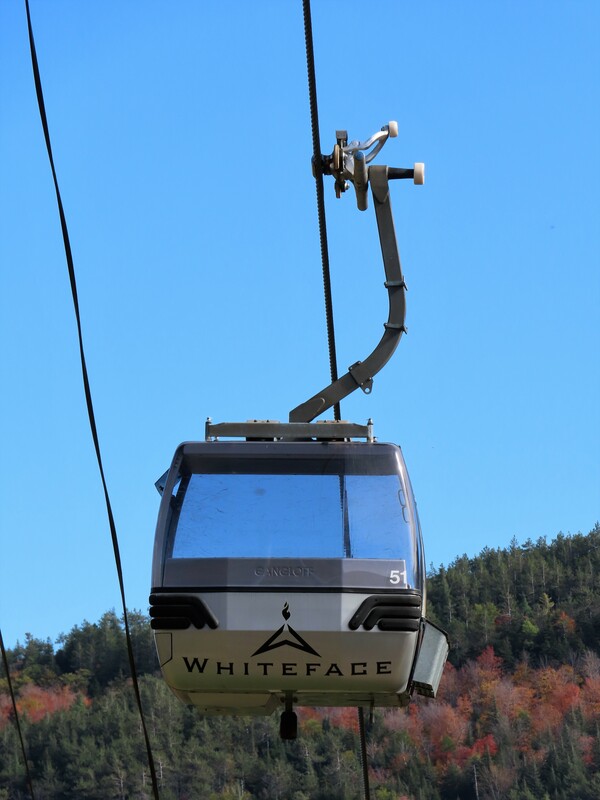 This weekend I was at Tremblant on Saturday and Whiteface on Sunday and the two gondolas ran at equivalent speeds of about 5 m/s. I only rode each once and it was either very early or very late in the day as the lines were ridiculous. 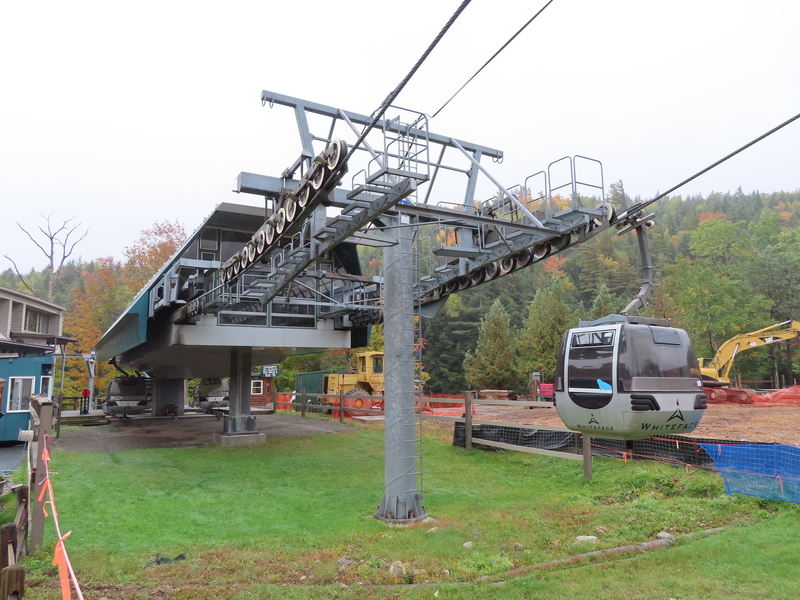 Seems like this lift was sped up and Tremblant’s slowed down. It used to be I’d find Telecabine would run at about 5.5 and Cloudsplitter at 4.5. It was windy enough Saturday (I think it was around 15-20 kph) to run it 5 m/s. It happens more than you’d expect!